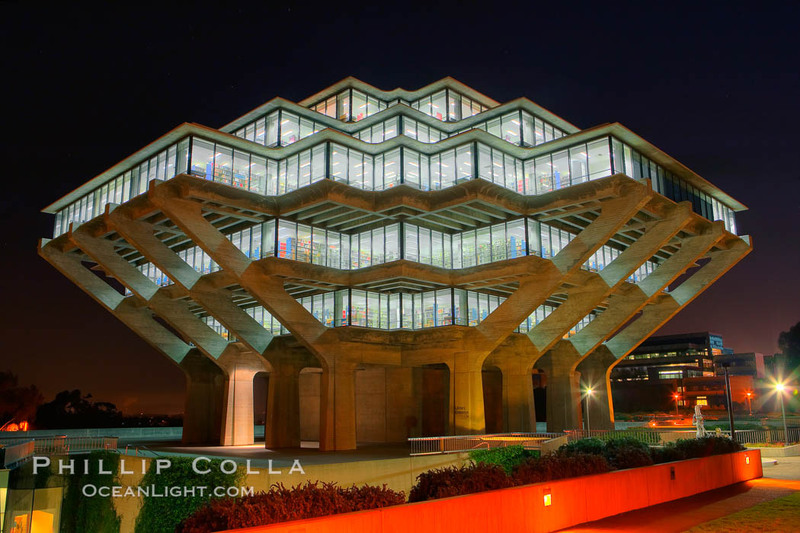 This is Geisel Library, the central library at University of California, San Diego (alma mater). These two particular photos are composites, each consisting of three images with varying exposures, combined on the computer. 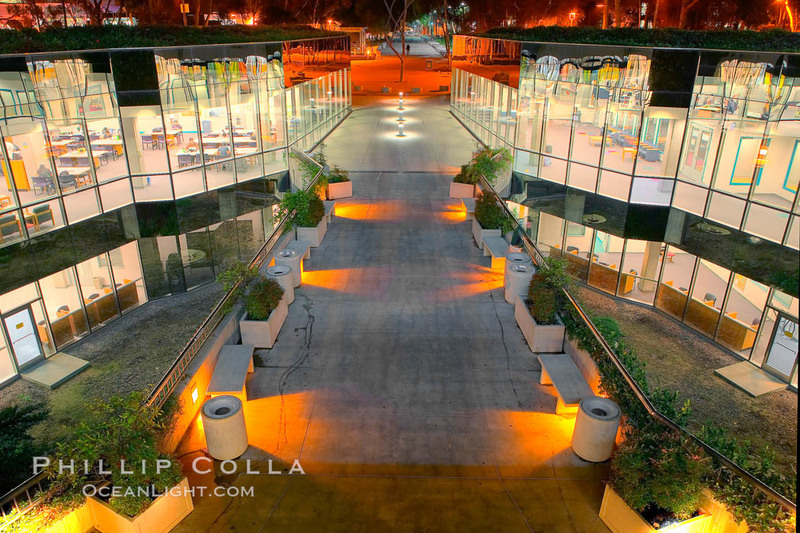 Without using this approach, known as HDR (high dynamic range), the shadows would be totally black and the bright windows would be burnt out with no detail. In the full resolution versions I can make out individual books on the stacks in the top photo.